Keith Wildonger, 4th degree black belt, has over 20 years of training and teaching experience. He began training in 1992 and continues today under Master James Donnelly, 8th Degree. 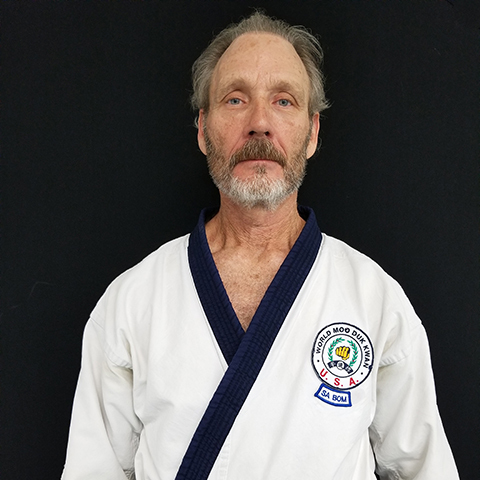 He is a nationally certified Master Level instructor under the U.S. Soo Bahk Do Moo Duk Kwan Federation and currently serves as the both the Region 3 elected representative to the Board of Directors and Board Chairman. He is a retired Naval Flight Officer who served 26 years on active duty and 4 years as a government contractor. He lives in Chesapeake. Troy is a purple belt in Gracie Jiu-Jitsu having been one of the first six students in the world to have completed the Gracie Combatives® course outside of the Gracie Jiu-Jitsu Academy in Torrance, California and one of the first instructors certified to teach the Gracie Academy proprietary courses. He taught at Norfolk Karate Academy/Gracie Jiu-Jitsu Norfolk before assuming his current duties as the Program Director for the Chesapeake Gracie Jiu-Jitsu programs. Troy is an Old Dominion University graduate. Lawrence (Larry) Yap is a retired US Army ranger with over 30 years of martial arts experience. He received his black belt in Gracie jiu-jitsu from Rorion Gracie in 2013. He also earned black belts in Hapkido from Grandmaster Song S. Choi, and in Judo/Midori Yama Budokai Japanese Jiu-jitsu from Sensei Frank Barry. He has competed in amateur boxing (AAU and PAL) and Muay Thai (under Kru Takkratoke) since age 10. His wide-ranging fight experiences include all-service military Muay Thai bouts (Nakorn Si Thammarat) and U.S.-Thai friendship competitions (Lumpini and City Hall, Saraburi, Thailand). Larry wrestled at both the high school and collegiate levels at the University of Missouri. In 1989, he began his Gracie Jiu-jitsu training under Relson Gracie and Romolo Barros in the garage in Hawaii Kai and at the University of Hawaii, eventually earning his purple belt. In 1992, he began competing in no-gi, sambo, and MMA competitions (California, Las Vegas, Florida, Hawaii, UAE, Brazil, Thailand, Korea and Japan). Larry retired from competition in 2000. Today, thanks to Bill Odom, Rorion, Ryron, and Rener Gracie, and the rest of the NKA/Gracie Jiu-Jitsu Academy family, Larry is back in the game and committed to improving his teaching skills as an HRKGJJC instructor, certified Gracie Jiu-Jitsu Academy black belt instructor, and MMA coach. Larry is a Chesapeake resident and the father of two Grassfield High School graduates. 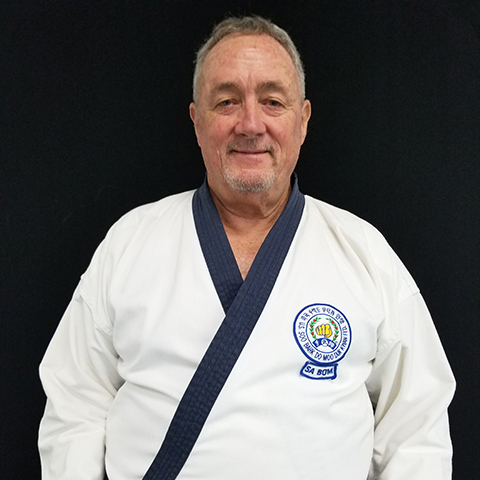 William O. Odom, a 7th degree black belt, is an accomplished martial artist with over 40 years experience as a Tang Soo Do practitioner and instructor. He traces his martial arts lineage to some of the world's most respected masters. He began martial arts training in Thailand at age ten. After ten years of karate training, he joined the US Army. 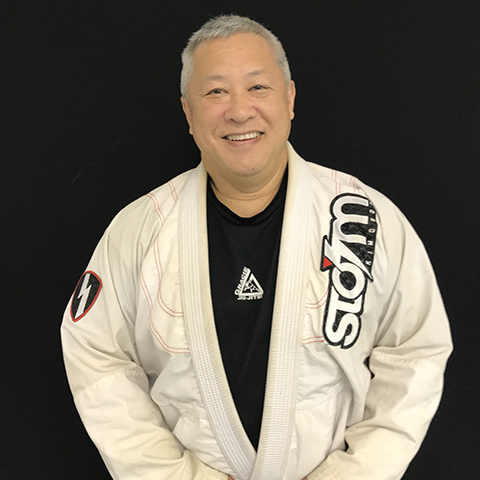 During his 25 years of military service commanding infantry units including Army Rangers, he acquired a wide-ranging knowledge of other martial arts and honed his teaching skills. He developed a combatives program for over 14,000 soldiers serving in Korea, has taught men and women of all ages, and is a former nationally ranked competitor. Mr. Odom continues his martial arts education with regular training sessions at the famous Gracie Jiu-jitsu Academy and is currently a purple belt jiu-jitsu student of Rorion Gracie and his sons. He established the first Gracie Jiu-Jitsu Certified Training Center and is a certified Level 2 instructor. Today, he possesses the experience, knowledge, skill, mature judgment, and commitment to excellence found only in the best instructors. He is a Norfolk resident and father of two, including a graduate of Maury High School. Mr. Odom is committed to the positive growth of every student at HRK/GJJC and to the growth of the community. James Donnelly, 8th degree black belt, has over 50 years of training and teaching experience. He began training in 1966 as a student of Chuck Norris. 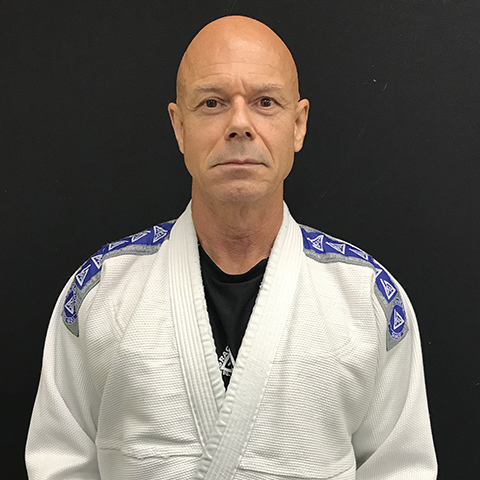 He trained under Victor Martinov, 9th degree, since 1970.Master Donnelly trained at the Soo Bahk Do international headquarters in 1989, 1995, 2000, and 2005 under the direct supervision of the founder, Hwang Kee, and his son, Grandmaster H.C. Hwang. Today, he is a nationally certified Master Level instructor under the U.S. Soo Bahk Do Moo Duk Kwan Federation and one of the organization's senior ranking members. Master Donnelly established Hampton Roads Soo Bahk Do in 1991. He partnered with Bill Odom in 2014 to include Gracie jiu-jitsu to the school's curriculum. Master Donnelly continues to advise the karate program and train the next generation of instructors. Hampton Roads Karate / Gracie Jiu-Jitsu Chesapeake has 1600 square feet of safety-matted training area. The facility includes two changing rooms and a guest waiting/observation area. The main training area is well equipped with hanging and pedestal bags and a variety of target shields and pads for striking practice. The school is located at 717 S. Battlefield Blvd, Chesapeake.